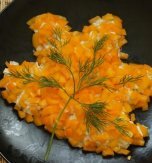 Cook with us this bright sweet and sour carrot salad salad. 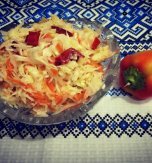 It is distinct in crunchy texture and the sweet sour taste which gives the salad a combination of apples, powdered sugar and lemon juice. 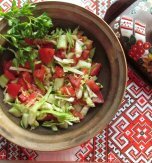 It is a good variant to vary the ordinary green salads. Peel and chop carrots finely. Wash and squeeze a lemon. Combine the carrots, lemon juice, salt, powdered sugar and water. Toss the ingredients. Transfer the salad to little bowls. Sprinkle it with oil and orange juice. 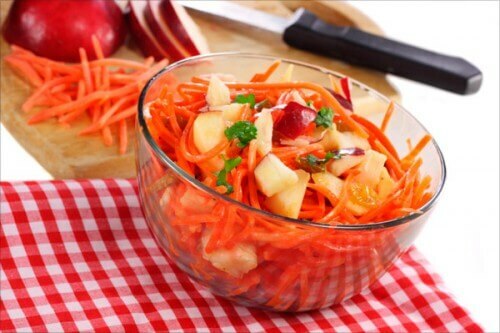 Top the salad with peeled and finely chopped apple. Refrigerate the salad before serving. 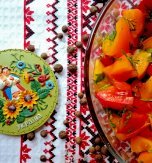 Do you have a favorite Ukrainian recipe for a carrot and apple salad? If so, please let us know in the comments below or write us an e-mail.